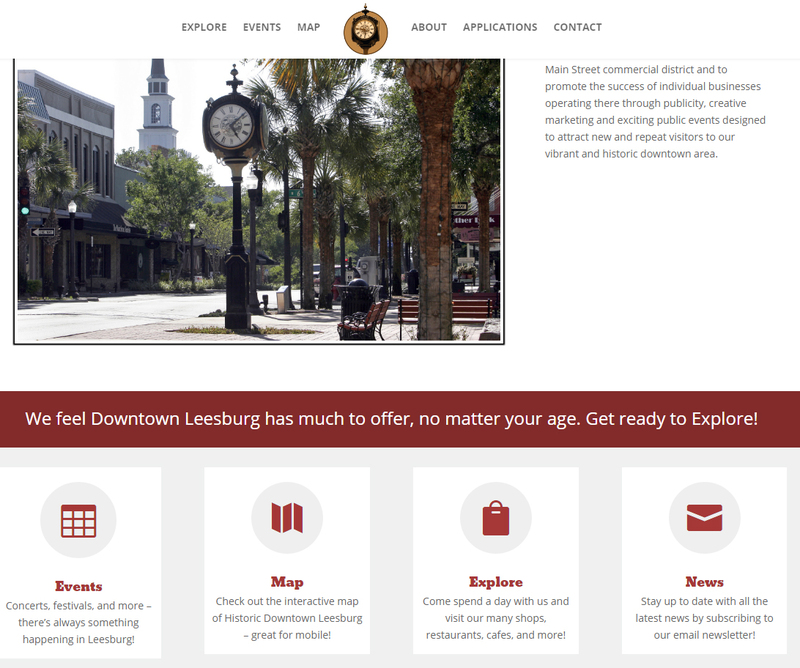 Earlier in the year, I had joined the Downtown Leesburg Business Association. It’s a great little organization with a goal of bringing life to the Downtown area and increasing commerce and activity. Hoping to impress the members, I volunteered to design their website free of charge, as well as design a map of the downtown area. Their old website just wasn’t cutting it for them anymore, so they wanted something more modern and stylish. Well, that’s my specialty! They had a few special needs, such as letting people download applications and a page with a map of downtown. I fulfilled all those needs, plus so much more! 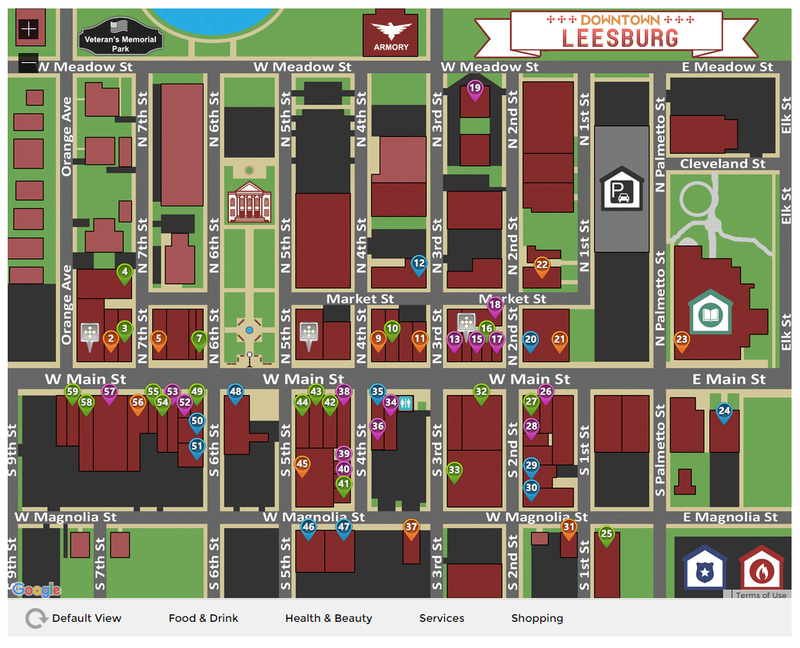 I had just finished the completely custom Downtown Leesburg Map, and it needed to be embedded into the website! I could have simply uploaded a picture and listed the locations underneath, but that’s too simple for me! Instead, I developed a custom solution to use the background of the map and then place pin markers that someone could hover their mouse over for more information. I also made sure that this advanced map worked great on mobile, as I knew that would be where it was used the most. 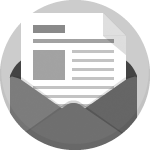 Hovering over a pin marker would show a tooltip of the business name. Clicking on the marker would bring up a popup window with more information. Since this was for the DLBA, I built in the ability for DLBA members to have special enhanced listings on the map. They could show their hours, links to their websites and social media, as well as a gallery of images!